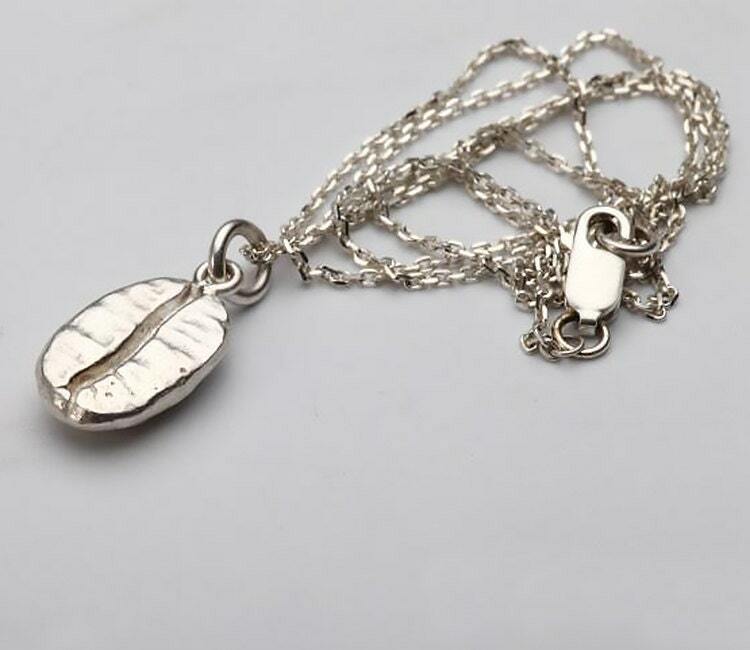 The coffee bean necklace is out tribute to coffee lovers all over the world! If you are the one that looks forward to their daily caffeine shots, you will surely like this necklace. 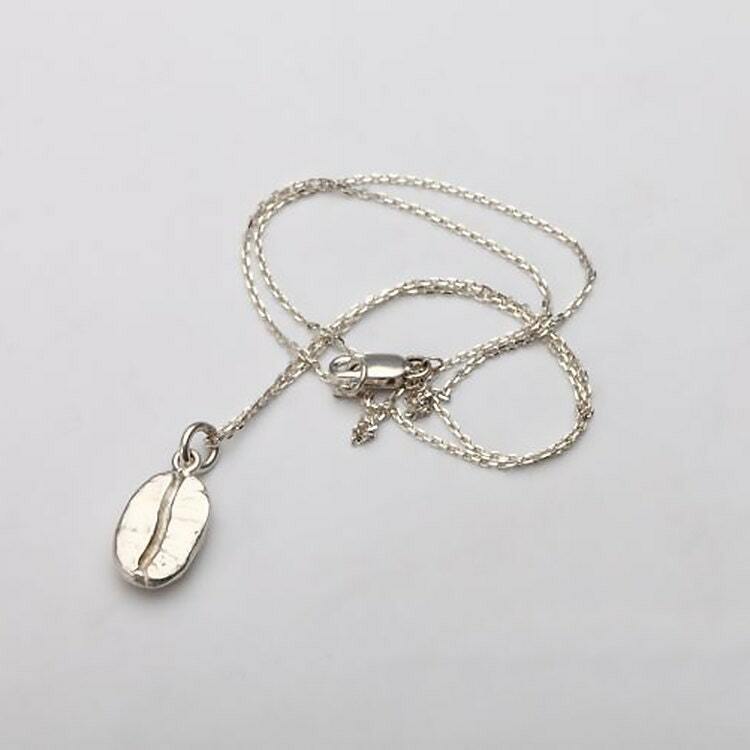 The single, oversized coffee bean pendant is crafted in sterling silver. The sterling silver coffee bean is modeled on the robust flavored Pacamara and Arabic coffee beans. The pendant is available in three sizes - large, medium, and small. 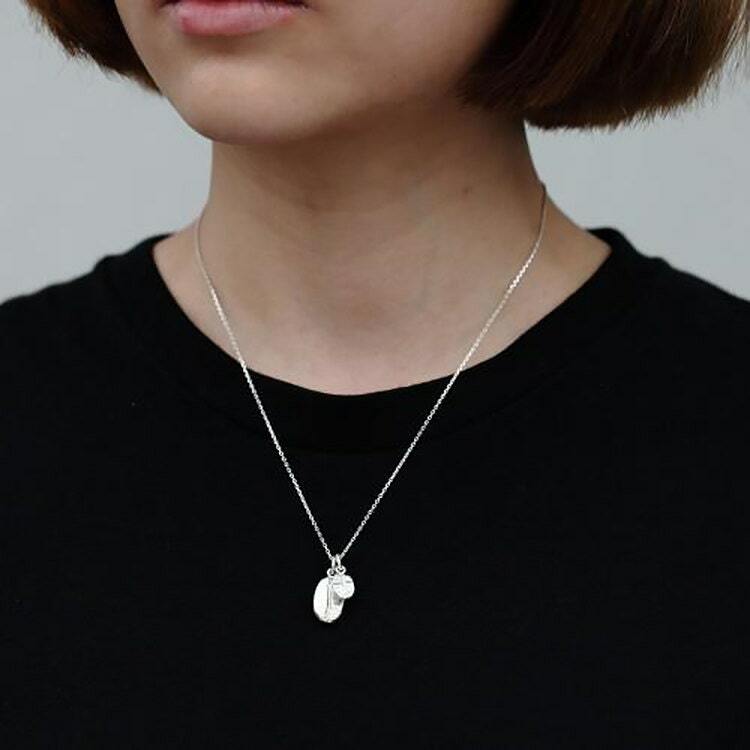 The plain and simple silver chain is gossamer thin and lightweight - keeping the focus solely on the eccentric coffee bean pendant. 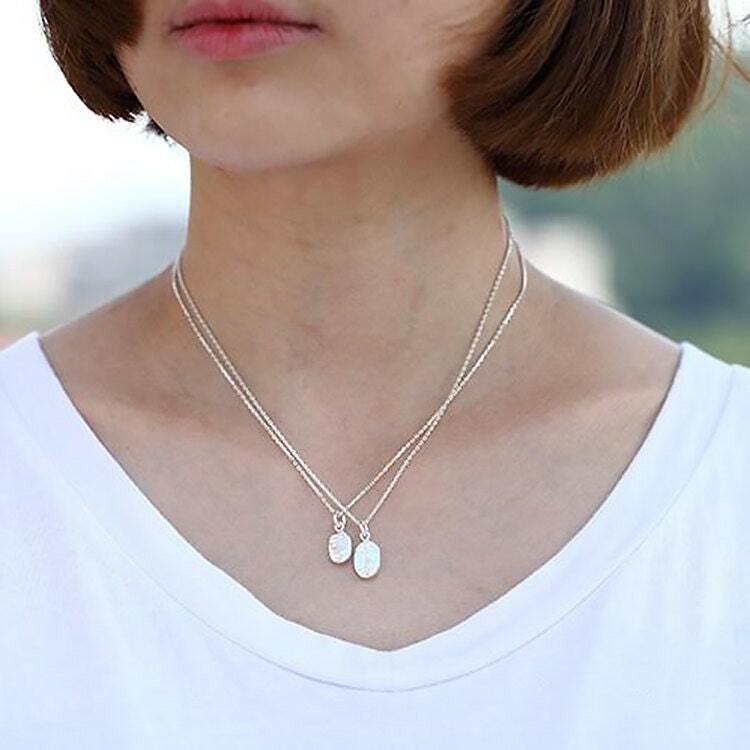 This fresh and simple necklace is ideal for daily wear. The model in black tees shows small and large comparison, the model in white tees shows small and medium comparison. 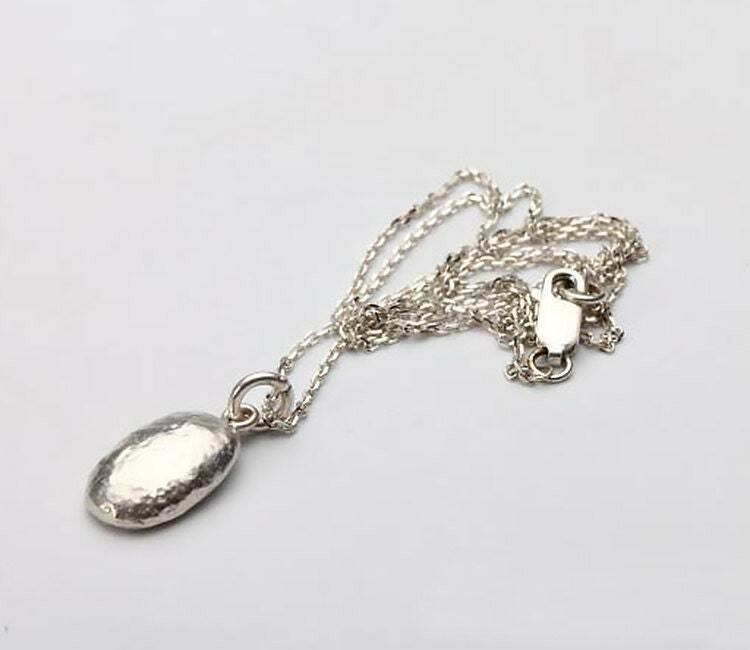 Length of Necklace: 40cm/15.7inch, 45cm/17.7inch.